Here is some Royal Kush. 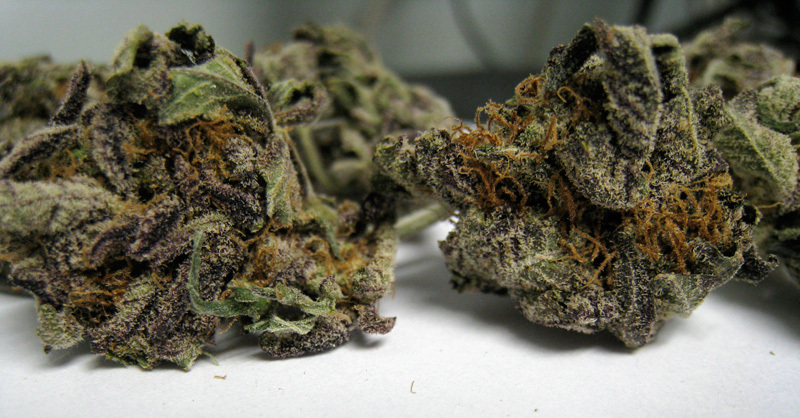 Royal Kush is often a purple kush. In this case it’s not too purple. Royal Kush is sometimes called GDP x OG kush. Im not too sure on the genetics of this one. But it looks like a bubba/purple hybrid. Anyone out there have any ideas? Here is a strain i don’t come across often. This is “Royal Kush”. Royal Kush is a very light/lime green with hints of purple on it. The parents of this stain are : Sour Diesel x Purple Kush x Afghani. With those parents this hybrid strain is leaning on the sativa dominant side. If anyone else has info on this strain please leave a comment.